Phoenix is more than just the most populous city in Arizona – it’s also the fifth most heavily populated in the nation. More than 1.5 million call the city home, and while its stunning natural beauty is unmatched, the location also brings some of the highest temperatures of any major US city. In fact, more than 100 days each year boast temperatures of more than 100 degrees, and average temperatures are around 75 degrees annually. That means that residents need to find ways to beat the heat, which explains why swimming pools Phoenix are so common. There are numerous reasons that investing in swimming pools Phoenix is such a good idea and why so many residents do just that. If you’re unsure, just take a look at the benefits that swimming pools Phoenix provide to owners. The obvious benefit is simply a chance to beat the heat and escape from the Phoenix sun in your own private backyard oasis. Few things are as effective at helping you cool off as a dip in the pool. Pools help your family and friends come together, giving you a private place to relax with those that you love. Today’s custom pools can be designed to match your own style and taste, giving you the chance to extend your personality to your pool. The swimming pools Phoenix residents install in their homes also helps to increase property values, resale potential, and more. It’s a home improvement that really does make a difference. The simple fact is that installing a pool is something that can help you get so much more from your home in so many ways. Our team of professional designers can help determine exactly what you’re looking for in a pool. We’ll talk to you about your overall style and goals and then design a custom pool that matches your backyard as well as your needs. From waterfalls to colored LED lighting to stonework, we create pools that you’ll fall in love with. We know that you have options when it comes to swimming pools Phoenix, and that’s why we work hard to be the best in the industry. There are numerous reasons that you should trust our team when you’re ready for a pool, including the following. With decades of experience, we have the knowledge and the skills need to create stunning pools for any home, no matter the budget or the ultimate vision. 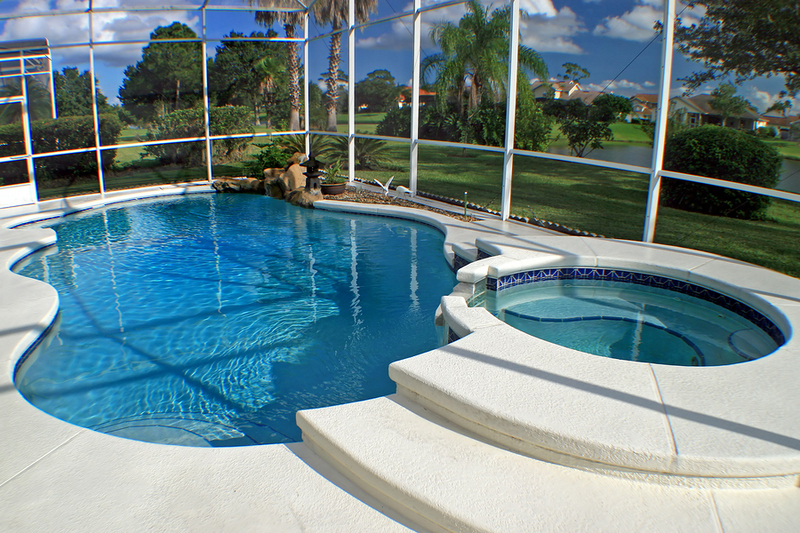 We can handle pool remodeling as well as new pool construction. Whether your swimming pool needs a facelift to bring it into the modern era or you have no idea how to even go about getting a pool in the ground, we’re here to help you. We begin every project with a consultation to give our design team a clear idea of exactly what you want. Then, we get to work creating the pool of your dreams. We won’t leave the job until it’s finished. Unlike some providers of swimming pools Phoenix, we handle the entire process from design to clean up for you. There’s nothing that you have to do once our team starts work. We go beyond just pools and can help create custom outdoor spaces, hardscapes, gardens, and more. We’re more than just pool experts – we create a backyard paradise for you. Best of all, we offer our services at the best possible prices available. We believe in giving you an amazing swimming pool that doesn’t cost you a fortune. Simply put, our team works hard to provide the swimming pools Phoenix residents deserve. If your family is ready for a backyard escape that they’ll never want to leave, we’re ready to help make those dreams a reality. Contact us today to find out more about our services and to get your consultation. It’s the first step towards a perfect pool.